Description: Yet another picture from the Bahamas, I couldn't help taking so many pictures. The light was perfect and always ample subject matter. 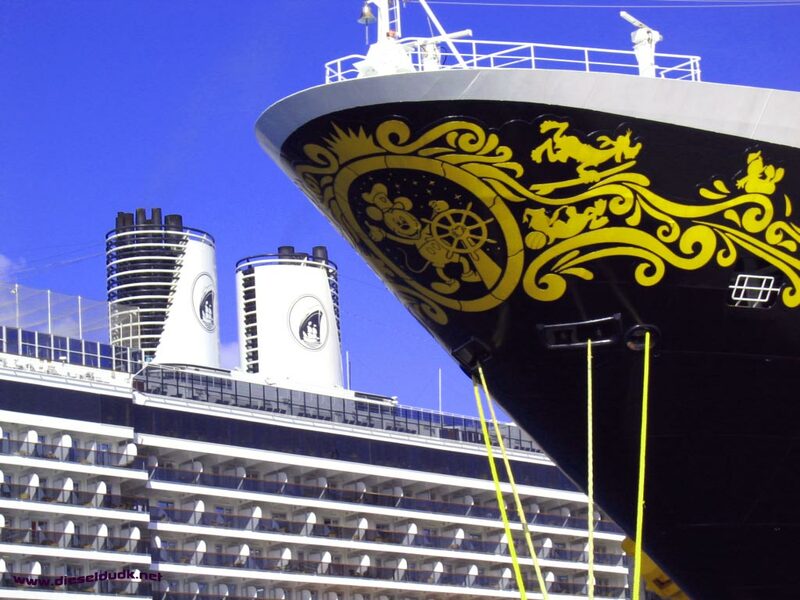 This one shows the decorated bow of Disney Cruise Line's Disney Wonder, with Holland America Line's Oosterdam in the background. Visit Martin's Marine Engineering Page - www.dieselduck.net Marine Picture Archive section for more great shots of seafarer's and their ships.